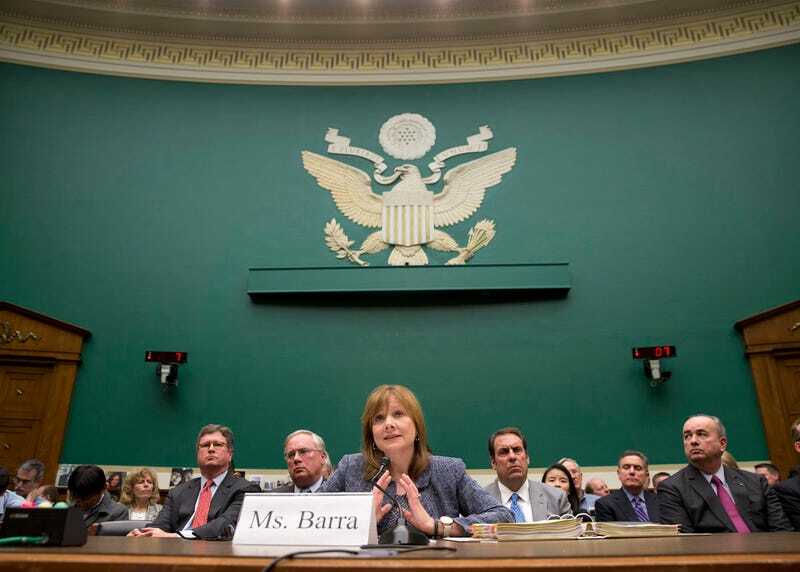 Many critics were incensed last week over the $35 million fine General Motors was hit with for failing to promptly inform federal officials about safety defects with their cars. But if a bill introduced today becomes law, other automakers will have to pay a lot more. Under current law, $35 million is the maximum civil fine an automaker can face for not informing the U.S. Department of Transportation of safety issues and ordering a recall, as GM failed to do more than 10 years ago when they noticed problems with their ignition switches. That amount is a drop in the bucket for GM, which brought in $37 billion in revenue in the first quarter of this year. "Only meaningful penalties can cause automakers to avoid concealing defects that lead to injury and death," Blumenthal said. "The $35 million fine levied on GM is a pittance compared to the company's revenue and the damage caused by its deception and delay. This legislation will ensure that penalties are commensurate with wrongdoing and are meaningful financial deterrents to mistakes and mismanagement harming consumers. GM's lesson to Congress is that concealment can kill." $300 million still isn't a lot to large automakers like GM, but the idea is it will serve as more of a deterrent against ignoring safety issues than the current law. Transportation Secretary Anthony Foxx has said he supports increasing the civil fine as well. And of course, there's still the matter of the Justice Department's investigation into GM, and the settlement of that is what ultimately cost Toyota $1.2 billion. Unlike these civil penalties, the fines there could sting pretty hard. Is raising the penalty a good idea, or will it fail to keep automakers from ignoring safety problems?